From the fairy-tale châteaux of the Loire Valley to the battlefields of the wars of religion to the mob-filled streets of Paris, The Confessions of Catherine de Medici is the extraordinary untold journey of one of the most maligned and misunderstood women ever to be queen. The truth is, none of us are innocent. We all have sins to confess. So reveals Catherine de Medici in this brilliantly imagined novel about one of historys most powerful and controversial women. To some she was the ruthless queen who led France into an era of savage violence. To others she was the passionate savior of the French monarchy. Acclaimed author C. W. Gortner brings Catherine to life in her own voice, allowing us to enter into the intimate world of a woman whose determination to protect her familys throne and realm plunged her into a lethal struggle for power. The last legitimate descendant of the illustrious Medici line, Catherine suffers the expulsion of her family from her native Florence and narrowly escapes death at the hands of an enraged mob. While still a teenager, she is betrothed to Henri, son of François I of France, and sent from Italy to an unfamiliar realm where she is overshadowed and humiliated by her husbands lifelong mistress. Ever resilient, Catherine strives to create a role for herself through her patronage of the famous clairvoyant Nostradamus and her own innate gift as a seer. But in her fortieth year, Catherine is widowed, left alone with six young children as regent of a kingdom torn apart by religious discord and the ambitions of a treacherous nobility. Relying on her tenacity, wit, and uncanny gift for compromise, Catherine seizes power, intent on securing the throne for her sons. She allies herself with the enigmatic Protestant leader Coligny, with whom she shares an intimate secret, and implacably carves a path toward peace, unaware that her own dark fate looms before hera fate that, if she is to save France, will demand the sacrifice of her ideals, her reputation, and the passion of her embattled heart. I was ten years old when I discovered I might be a witch. I sat sewing with my aunt Clarice, as sunlight spread across the gallery floor. Outside the window I could hear the splashing of the courtyard fountain, the cries of the vendors in the Via Larga and staccato of horse hooves on the cobblestone streets, and I thought for the hundredth time that I couldnt stay inside another minute. C. W. Gortner presents a sympathetic picture of Catherine de Medici, a figure much maligned in history. His goal is to flesh her out as a complex and multifaceted human beingone who faced difficult choices and did the best she could under the circumstances. Does he succeed? Is Catherine a reliable narrator of her own life? Some historians believe that France would have fallen into revolution two hundred years earlier than it did had Catherine not been in power. In what ways was she instrumental in preserving the stability of her country? Do you consider her methods ruthless or pragmatic? C.W. Gortner reimagines the trials and tribulations of Catherine de Medici "in her own words," an interesting, successful technique that effectively presents the life and times of a complex historical figure whose life story is permeated with sadness, betrayals, exaggerations and intrigue (Marie A). Gortner does a phenomenal job of portraying a very complicated era in French history and making it interesting to the reader. Catherine does, eventually, become a lovable character, and I felt great empathy for each of her losses and failures... and there were many (Amy H). If you enjoy history, intrigue and a little mayhem, you will enjoy this book (Barbara R). (Reviewed by BookBrowse First Impression Reviewers). 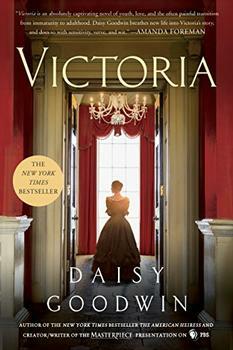 [R]emarkably thoughtful in its insight into an unapologetically ruthless queen. While the Catherine depicted here is in some ways similar to Jeanne Kalodigris's protagonist in The Devil's Queen, Gortner breathes more life into his queen. Historical fiction fans will appreciate the vivid details of Renaissance France. The Confessions of Catherine de Medici is a dramatic, epic novel of an all-too-human woman whose strength and passion propelled her into the center of grand events. Meticulously-researched, this engrossing novel offers a fresh portrait of a queen who has too often been portrayed as a villain. Bravo Mr. Gortner! An intriguing and provocative book about one of history's most controversial queens and the turbulent world of 16th century France. Thrilling and original ... a dramatic portrait of a brilliant queen and a realm divided by dissension. The notorious Catherine de Medici emerges as a flesh-and-blood woman in this masterful recounting of her life. C.W. Gortner has an uncanny ability to delve into the intense humanness of his characters. Powerful and determined, Catherine de Medici strides across the treacherous glamour of 16th century France in this breathtaking novel .... With an exquisite eye for detail and deep sensitivity, Gortner evokes a woman of immense personality and resolve, who never gave up on her children or country. You will not be able to put this book down! 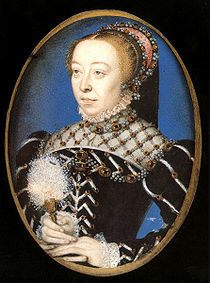 Catherine de Medici was born on April 13, 1519 in Florence, Italy. Her mother, Madeleine de La Tour d'Auvergne, died a few days later either of plague or of syphilis contracted from her husband, Lorenzo II de Medici, Duke of Urbino (a sovereign state in northern Italy), who died from the disease a few weeks later. Madeline and Lorenzo had been married just a year, and Catherine was their only child. Catherine's care fell to her aunt and maternal grandmother, who raised her in the Palazzo Medici. In the spirit of Loving Frank and The Paris Wife, acclaimed novelist Melanie Benjamin pulls back the curtain on the marriage of one of America's most extraordinary couples: Charles Lindbergh and Anne Morrow Lindbergh.